Highlight of my life when I was ten years old? Visiting the ‘Aquajet’ in Coffs Harbour, NSW. Yes, in the heady days of the mid-eighties, I thought there could be nothing more exhilarating, nothing wilder than a giant, circular waterslide. 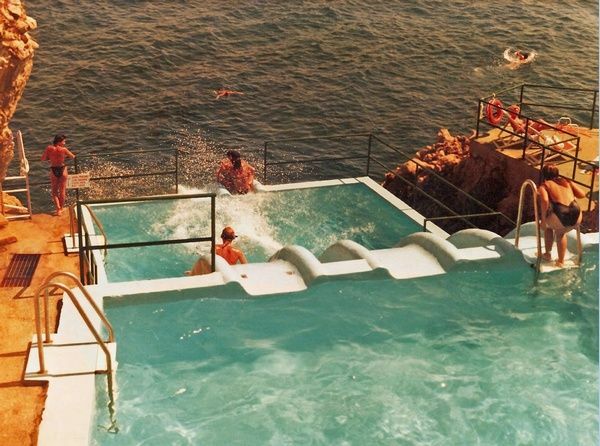 So impressed were my brother and I that it became our ‘benchmark’ waterslide – nothing ever came close to the fabulousness of the Aquajet… But I suspect that a visit to Città del Mare would have blown Coffs Harbour’s finest out of the water. 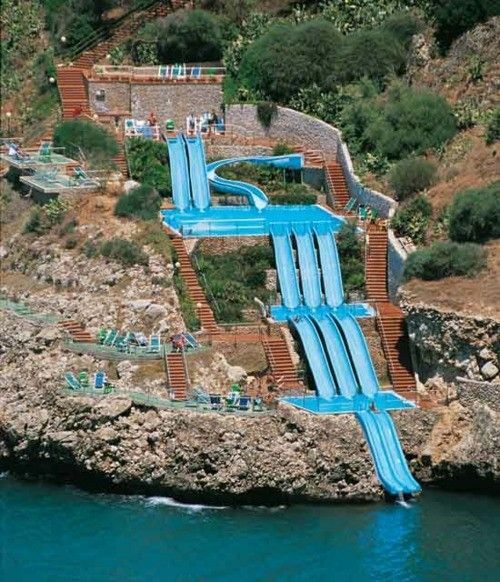 Located on the northwest coast of Sicily, Italy, on the Gulf of Castellammare, the hotel Città del Mare boasts one of the coolest waterslides I’ve ever seen. 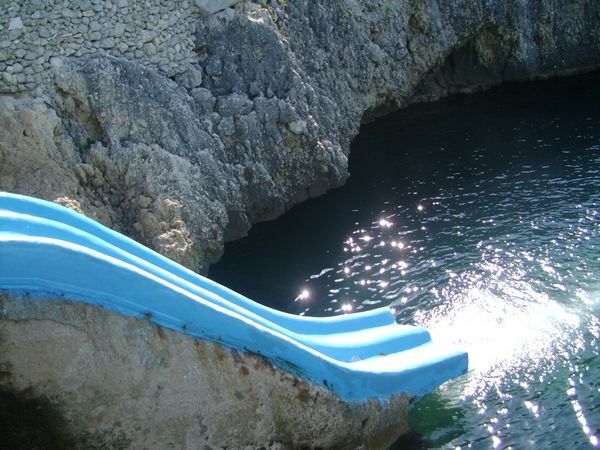 Carved into the side of the cliffs and heading straight into the Mediterranean, the waterslide at Città del Mare offers three levels of water fun. There are also plenty of other pools at the resort to enjoy including an Olympic size pool for lap swimming, the small Lago dei Fiori salt water pool with magnificent views of the Gulf, a whirlpool and of course spas. Rates for basic rooms begin at €59 a night (low season) – book online directly with Città del Mare. Flights to Italy can be booked online, directly through Flight Centre. If you are heading to Città del Mare, the closest airport is Palermo. If the family holiday budget doesn’t stretch to waterslides in Italy, the Aquajet in Coffs Harbour is still on offer!